In the February 24, 2015 Ask The Headhunter Newsletter, a reader asks how to overcome shyness and capitalize on personal contacts as the path to a job. I am an intelligent, hardworking analyst who is also an introvert. Once I’m on the job, I’m fine and people like me. But getting contacts lined up to meet people to get the interview for the new job is difficult. There seem to be so many steps with so many people that I don’t know! I’ve read most of your web articles and haven’t seen this addressed. Do you have any pearls of wisdom for me? Believe it or not, I was quite introverted and shy when I was young. I would freeze up in front of a group. It was painful and embarrassing. Gradually, I realized I had to deal with other people, and I started listening to friends I trusted — they helped me practice appropriate behaviors. I’m still somewhat introverted, and sometimes I hesitate to initiate contact with others, but I’ve learned to behave in more outgoing ways. It doesn’t always work, but each time it does, I enjoy the rewards and I try to do it more. I know quite a few folks who’ve tried Toastmasters groups to good effect. Toastmasters participants help one another hone their public speaking skills, working with one another in a safe, supportive setting. Their small successes make it easier for them to be a bit more outgoing with other individuals in public. I don’t doubt being introverted can cause difficulties, but most human behavior is subject to conditioning and learning. (Sometimes the terms introversion and shyness are used loosely and interchangeably.) Look up social learning theory — you might find it intriguing and helpful. I had the good fortune to study under Dr. Albert Bandura at Stanford, and what I learned from his research about human behavior and modeling has had a profound effect on me. The best advice I can offer is this: Think of one or two small behaviors that are more outgoing, then practice them as much as you can. For instance, walk up to someone (in an appropriate setting that doesn’t feel threatening to you) and say, “Hi, I’m [your name].” Reach out at the same time to shake hands. Then say, “I understand your work involves XYZ.” Then ask a simple, honest question about XYZ, and let them talk. The secret to this technique (I hate calling it networking) is that most people love to talk about their work if you ask them. If they ask you about your work next, talk as much as you feel comfortable. If you get nervous, you can always just say, “Thanks, it was nice to meet you,” and move on. The key to changing your thinking is to start by changing your behavior, but only one step at a time. Keep practicing. You’ll get to enjoy your little successes, and it will not seem phony or contrived as you get better at talking to others. This is the fundamental behavior behind meeting people to get job interviews. Every community has a structure and rules of navigation. 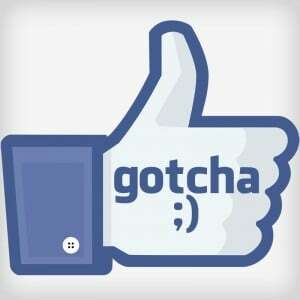 Figure this out by circulating. Go to a party. Go to a professional conference or training program. Attend cultural and social events that require milling around with other people (think museums, concerts, churches). It’s natural to ask people you meet for advice and insight about the best companies in your industry. But don’t limit yourself to people in your own line of work. The glue that holds industries together includes lawyers, accountants, bankers, real estate brokers, printers, caterers and janitors. Use these contacts to identify members of the community you want to join, and start hanging out with them. Jobs aren’t found on computer screens and in postings — or even on LinkedIn, which is, after all, no more “social” than a phone book. You actually have to get out and meet people face to face! Most jobs are found and filled through the personal contacts we make and turn to. Do you find it hard to talk to people when you want to make professional contacts? How do you break the ice? In the February 10, 2015 Ask The Headhunter Newsletter, we discuss how to know it’s time to go, what to say to exit interviews, and how to resign right. 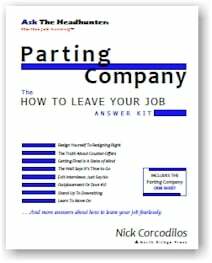 Last week I introduced you to my new PDF book, Parting Company | How to leave your job, and we briefly discussed a reader’s question about what she should say to other employers about getting fired. The thing is, how you handle leaving your job is largely up to you. It can affect your prospects dramatically — and it can hurt your career. Even if you get fired, you have choices. It’s important to know what your options are. Whether you quit, get fired, or get downsized, do it on your own terms. This week, I’d like to share some advice straight from the book — just a few of the many issues you need to consider before you take that big step out the door. Whether you get fired or quit, never do an exit interview. (pp. 53-57) I have polled HR managers for over a decade. 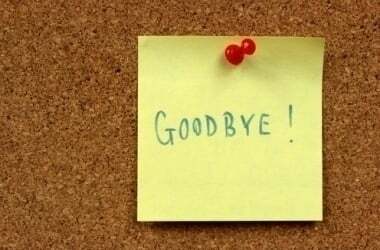 None can name one benefit of the dreaded exit interview for the departing employee, but I can name several serious risks. Whether you say complimentary things in an exit interview, or make critical comments and vent your frustrations, your words can be used against you. Most obvious: Suppose you need to take legal action to get your final paycheck or a bonus you’re owed, or because you later realize you were discriminated against. Your employer can use your verbose comments to support its own case. Or, if someone later calls this employer to check your references, any negative comments saved to your personnel file might influence the quality of references you’re given. Consenting to an exit interview just isn’t worth it. HR managers argue that they need your candid comments if they’re to improve the company and their processes. But if that really matters to your employer, then HR should be asking you exit interview questions regularly, while you’re an employee, so you can benefit from any resulting improvements. These are just a few reasons why, when you’re leaving your job, the prudent response to an exit interview is, No, thank you. You’ve got no professional support. You’re the “top dog” in your department, and there’s no one to mentor you further. You start to stagnate, while everyone else comes to you for help doing their jobs. You’re always ahead of your employer. You understand your work, your tools, the market, and trends better than your employer does, but no one listens to you. You are isolated. There are too many walls between your job function and the rest of the company. You’re not allowed to put your head together with other departments to produce the best solutions. Everyone is isolated. You’re not growing. Your employer doesn’t encourage continuing education and offers little, if any, training. They like you just the way you are, and they want you to stay that way. Do you know how to resign? (pp. 40-49) Many people simply don’t know how to resign properly. This can be catastrophic. Get your ducks in a row before you do it. Check your employer’s exit policy. You may be ushered out the door instantly, without being allowed to return to your desk. Find out how others have been treated, and check the written policy. 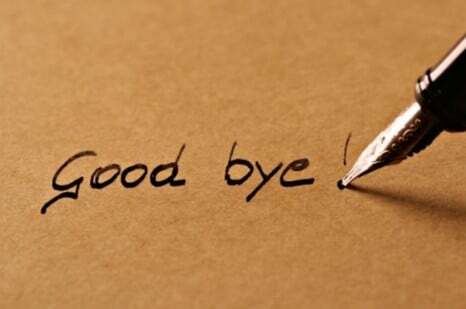 Never resign your old job unless you have the new offer in writing. I’ve seen too many people treat an oral offer as bona fide, quit their old job, and find themselves on the street when the offer is never finalized, or rescinded. Get your stuff. Never take what’s not yours, but if you announce your departure too early, you may have to fight to get your belongings back. Plan ahead. Resign in writing, one sentence only. This is no time to hand your employer ammo against you. 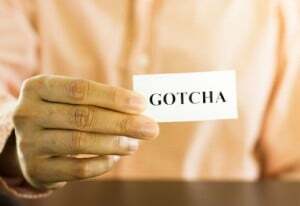 Keep it short: “I, John Jones, hereby resign my position with ABC Company.” Sign and deliver to your boss with a copy to HR. Anything you say beyond that can be used against you by your employer. A resignation is business, not personal. Keep it simple. Have you been fired or downsized? Did you quit for a better job? Did anything happen in the process that you didn’t expect or plan for? 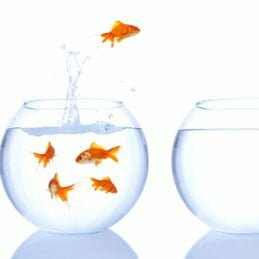 How have you controlled your departure from an employer?